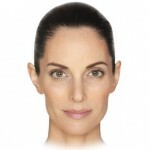 Rhoad to Beauty is a plastic surgery & MedSpa facility run by Dr. Deirdre Rhoad and her team. Dr. Rhoad is board-certified by the American Board of Plastic Surgery, and is also the longest-practicing female plastic surgeon in Austin, with over 20 years of experience. Unlike the impersonal experiences that often frustrate patients at some larger facilities, services at Rhoad to Beauty are characterized by attentiveness and care for the individual. We believe this sets us apart. So get started down the “Rhoad” to Beauty by giving our office a call today! Sweet tooth? Try (don't eat) this DIY sugar scrub to exfoliate and moisturize skin on your arms, legs, and feet. Enjoy! This easy sugar scrub recipe is natural and chemical free. It naturally removes dead skin and leaves skin glowing and healthy. 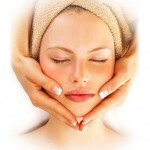 Treat for wrinkles @ Rhoad to Beauty. Protect your investment with prevention!